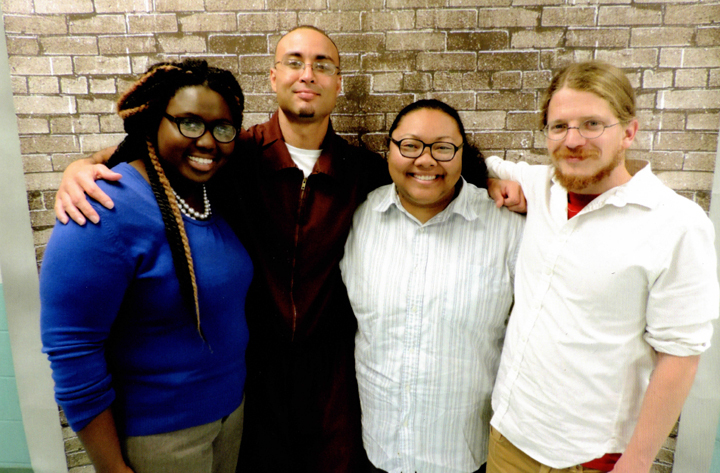 Check out the latest issue of Decarcerate PA's newsletter! This season we're featuring articles about the #BlackLivesMatter movement, information about our upcoming 24-hour "speak in" to protest the Silencing Act, updates from the Coalition to Abolish Life Without Parole, an essay by David Lee, a spotlight on the Amistad Law Project, and a reportback on our 12 Days for Justice campaign. Read more about Winter Newsletter now out! This past holiday season marked the six-month anniversary of the historic Coal Township Dining Hall Boycott, when 1,300 prisoners at SCI Coal Township refused to go to the dining hall for a week to protest food cutbacks and denials of their basic human rights. Amistad Law Project (ALP) is a West Philadelphia-based public interest law center founded in October 2014. The two attorneys who currently make up ALP are also committed activists and organizers. We are prison abolitionists who view the prison industrial complex as directly related to the massive divestment from our communities of the things that make them safe and strong. On May 4th, Decarcerate PA and our allies will travel to the Capitol in Harrisburg for a 24-hour protest against the Revictimization Relief Act, a law designed to silence incarcerated and formerly incarcerated people. Over the past six months, from Ferguson to Staten Island, Cleveland to Philadelphia, people have been coming together in meeting spaces, public forums and the streets to express their outrage at police abuse and killings of Black men and women all over the country. Pennsylvania prisons hold over 5000 people serving life sentences without the possibility of parole. In PA, a life sentence means your natural life--it is a sentence that condemns you to die in prison--which is why many choose to call it Death By Incarceration (DBI). After over two years of a protracted legal process, all charges against the Graterford 7 have been withdrawn. Read more about Graterford 7 Charges Withdrawn! February 15th marks two months in which the family of Brandon Tate-Brown has gone without receiving any clear explanation of what happened on December 15th, when the 26-year-old Philadelphia resident was shot in the back of the head by a Philadelphia police officer during a traffic stop in the Mayfair section of Northeast Philly. The PPD claim that it was a “justifiable homicide” yet have failed to produce a shred of evidence to back up their claim.